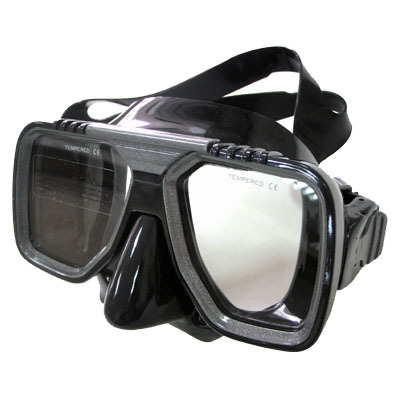 Mask with twin tempered lenses, manufactured from high grade super soft hypo allergenic Black Silicone which provides a great fit and fantastic level of comfort. Supplied complete with fitted fully adjustable 20mm silicone strap, which can be easily and quickly adjusted for a precision fit. Heavy Duty PVC deluxe protective box, provides safe, secure and hygienic storage when not in use.